A good DeKalb County criminal lawyer can be seen each week in either DeKalb County Recorders Court, DeKalb County State Court (Traffic Court), or The Magistrate Court of DeKalb County. Each court has jurisdiction over certain types of crimes, and the category of crime charged (misdemeanor or felony). Call Larry Kohn, Cory Yager, or Bubba Head today and they can tell you which DeKalb County court will be handling your case. The court system can be confusing, and the last thing you want to do is show up at the wrong courtroom. The stellar legal staff at our DeKalb County criminal law firm will coordinate your court dates and necessary paperwork, and give you ample notice when you are required to be in court. One of the many benefits of hiring a private criminal lawyer is that your attorney can appear for you on certain court dates, including your initial arraignment. At your DeKalb County arraignment, Larry, Cory, or Bubba will enter a plea of not guilty, which is the beginning of the fight to keep a Georgia conviction off your permanent record. In Georgia, there is no expungement or removal of a misdemeanor or felony conviction. You will be impacted by penalties for the rest of your life. DeKalb County State Court, located at 556 N McDonough St #300 in Decatur, is comprised of the Jury and Traffic Divisions, and DUI Court. 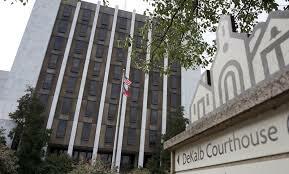 All DeKalb traffic cases, formerly handled at the Recorder’s Court, are now handled by the State Court – Traffic Division. Traffic violations include reckless driving, GA super speeder tickets, and racing. The DeKalb County DUI Court offers a post-conviction, voluntary treatment program for repeat DUI alcohol and DUI drugs offenders, also known as habitual violators (HV) in DeKalb County. The goal of this government program is to help people with recurring drunk driving arrests achieve sobriety, and therefore make DeKalb’s roads safer for everyone. Can I Afford a DeKalb County Criminal Lawyer? Criminal defense lawyers in DeKalb County charge widely varying levels of legal fees, anywhere from $2,000 to over $15,000. As always, you get what you pay for. Most people trying to decide if a private attorney is “worth it,” usually don’t take into account all the “future costs” of a misdemeanor or felony conviction. Immediate financial penalties include court fines, probation fees, DUI class fees, ignition interlock device costs, and the cost of missing work or school. But don’t forget that having to tell future employers that you have a felony conviction on your background check could cost you that job. A felony conviction can lead to travel restrictions, loss of your right to vote, and many other lifelong financial hardship. 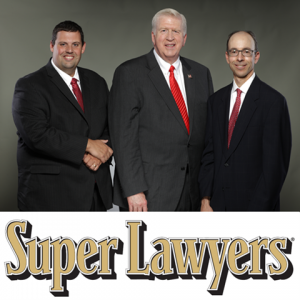 Please call our DeKalb County criminal law firm and let Larry, Cory, or Bubba tell you about the financial duress you could endure if you decide to represent yourself, or get the DeKalb judge to assign a public defender. Our phones are answered 24 hours a day, on weekends and all major holidays. We are here when you need us the most. An arrest for committing a crime in DeKalb County can be the beginning of a long, painful nightmare. Please do not go it alone. Call (404) 567-5515 and let us provide you with a FREE consultation to hear your side of the story. naturally like your website but you need to check the spelling on several of your posts. Several of them are rife with spelling problems and I find it very bothersome to tell the truth nevertheless I will definitely come back again.